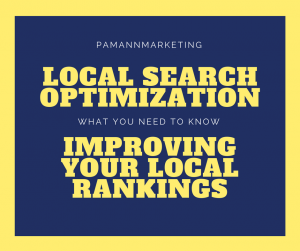 When it comes to ranking in local search, there’s a lot a site owner can do to send signals to Google about where their site should be ranked most prominently. Google’s machine learning algorithms work hard to determine where a business is located in order to rank its website appropriately in local search results. As powerful as they are, Google’s algorithms can only do so much. The rest is up to you. In this article we will teach you about the signals Google relies on to determine where a site should be ranked in local search. In the end, you can use that knowledge to optimize your site for success. Let’s get right into it and start putting your business on the map – literally! Google Webmaster Trends Analyst, John Mueller, recently went on record revealing the two most essential signals Google relies on for understanding what country your website should be associated with. When determining in which area of the world a site should be ranked, Google looks toward ccTLD’s and Search Console settings. What the Heck is a ccTLD?! What ccTLD stands for is “country code top-level domain.” It’s SEO jargon for saying country-specific domain extension. For example, .ca denotes a Canadian domain, .uk denotes a UK-based domain, .eu denotes a European domain – and so on. If you want your site to rank in a particular region or country, then having a matching domain extension is sure to help you get there. This may go without saying, but if you’re targeting a US-based audience then ‘.com’ is the most appropriate extension. Your Search Console settings can and should be configured to indicate where you are located. According to Google, this is as important as having the right domain extension. With that said, make sure your domain extension and Search Console settings are in sync. To do so, go to Search Traffic -> International Targeting in Search console. Search Console and ccTLDs are key to helping you rank in a particular region of the world – but that only gets you part of the way to where you want to go. Ideally, you’ll want to narrow it down much further by ranking within a specific state, or microtargeting the specific city where you’re located. 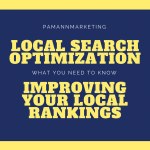 There are a number of other local search tactics that can help get you there, and that’s what we’re going to cover in the next section. 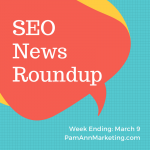 As a site owner, you have the power to send on-page signals to Googlebot to help it learn what your site is about, which keywords it should rank for, and where your business is located. Here is an overview of several of the most important on-page signals. One of the most effective ways to send on-page ranking signals is through the tactful use of keywords. I say “tactful” because the overuse of keywords could result in a Google penalty. When writing copy for your web pages, reference the name of your location wherever it feels natural. Read the copy out loud to yourself afterward to make sure it doesn’t sound repetitive. We recommend using a content management system, like WordPress, that allows you to customize how your page titles are displayed in search results. Using keywords in page titles is as important as using them throughout your copy. You must get the idea by now. Again, don’t overdo it. Limit your use of location-based keywords to one per page title. Keyword stuffing in page titles is a sure way to damage your rankings. Using keywords in the domain name itself is also known to assist with ranking for a desired keyword – in this case, the keyword would be the name of your location. We realize that may not always be possible, especially if you have an existing domain, or targeting multiple locations. If you’re starting a new site and registering a new domain, using your location in your domain name is certainly a consideration worth making. We by no means recommend moving an existing site to a new, keyword optimized domain. A domain’s age is a ranking signal in and of itself, so you don’t want to lose that. In addition to peppering the name of your location throughout your site’s copy, you can send an even stronger signal by dedicating entire pages to highlighting your location. It’s recommended that you have at least one page on your site where the full address of your location is written out in full. A “Contact Us” page is an ideal place on your site to list this information. If your business has multiple locations, then it’s even better for your site to have a unique page for each unique address. This not only helps Googlebot understand how to rank your site in local search, it improves the overall user experience. As a further benefit to your local search ranking, and user experience, you should embed a Google Maps snippet into your location pages. One last thing to knock off your checklist is to mark up both your address, and Google Maps snippet, with the appropriate Schema.org structured data. You can learn more about that at Schema.org. Information contained in your site itself will send one set of signals. 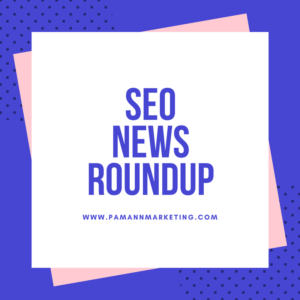 Off-page information about your business also helps Googlebot gain a better understanding of where to rank your site locally. Here is an overview of some of the most important off-page signals. Having a verified listing on Google Maps will help identify the exact coordinates of your business location. With proximity to searcher being among the top ranking signals, the more precisely Google can narrow down your location the better. This will also allow you to embed a Google Maps snippet as mentioned previously. Technically speaking, anyone can add a Maps listing for any business – but only the owner can create a verified listing. Having a verified listing means more to your local search ranking than a generic listing. Getting a verified listing on Google Maps can be accomplished by signing up to Google My Business and filling out the required information. Not only will this get you on Maps, it will allow Google to display a Knowledge Graph card when the name of your business is searched for. You can learn more about that in our guide to Google My Business. 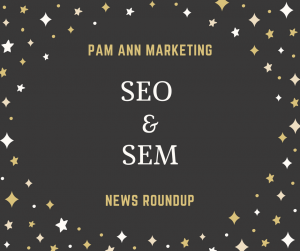 You may have heard directories have fallen out of favor in SEO as of late, which is due in large part to spammers abusing directory listings to manipulate their search results. However, when it comes to local search, there are many directories that are still relevant and credible. We cannot stress enough how important it is to have your business name, address, and phone number (NAP) consistent across all of the credible directories. This also includes Google Maps and Google My Business. However, your NAP data appears on Google Maps (Google My Business) is how it should also be formatted on your website and other listing sites. Inconsistencies in your NAP will confuse Googlebot, which may negatively affect your local rankings. It’s a good practice to keep a record of the directories where your business is listed. If your phone number or address needs to be changed on your website, you will then know everywhere else where the information needs to be updated. Embrace and encourage local reviews, because both the quality and quantity of reviews for your business can be an asset to your local search rankings. Google reviews are arguably the most important as they are the most visible, but reviews within other local listing sites can help as well. That will accomplish three things. It encourages a review, it encourages a five-star review, and it discourages negative reviews by giving you one final opportunity to leave the customer happy (and have them communicate that to you directly instead of through a negative review). Signals based on user behavior are said to influence search rankings to a certain extent. This includes clicks from search results, clicks to call, mobile check-ins, and other such signals. 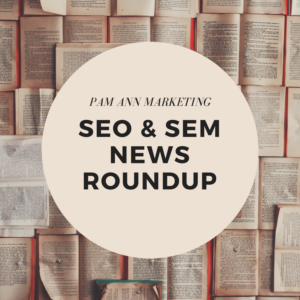 These can be optimized for to a degree by writing compelling page titles and including calls-to-actions in your meta descriptions. Customer-facing businesses can encourage check-ins while customers are inside the establishment. A common practice is to have a sign somewhere which invites customers to check-in, or perhaps even offering a slight discount for those who check-in. As we like to say in the SEO industry – inbound links, also known as backlinks, are the currency of the internet. Since the dawn of search engines, inbound links have been used as a way to measure how well a page deserves to rank in search results. Many still consider links to be the single greatest asset to a site’s Google search rankings. As with most things in SEO, you have to tread lightly when building backlinks. They could also result in a Google penalty if they’re misused. Building a large quantity of low quality, irrelevant backlinks is highly discouraged. As a local business, you should focus on building inbound links from high authority sources which also send local search ranking signals to Google. Here are just a few of many examples to consider. Chamber of Commerce: When joining your local Chamber of Commerce, you will likely get a dedicated listing on their site with a link back to yours. Event Sponsorship: Sponsoring a local event will usually come with the benefit of being linked to by the event’s website, Facebook page, and so on. Business Partnerships: If you work together with other local businesses, it’s worth your while to reach out and request a link wherever you feel it may fit on their site. Guest Posting: If you feel you have something of value to contribute to the blog of another local business, reach out and pitch your idea. If accepted, this is another opportunity to earn an inbound link. Local News Sites: Hyperlocal news sites like your town’s Patch are often starving for content on what’s happening in your area. If you have something genuinely newsworthy going on in your company, write a press release and submit it to hyperlocal news sites. Get creative when it comes to link building. Start a habit of looking for link opportunities at every turn. Remember, like reviews, it never hurts to ask for a link if you believe it’s deserved, such as when you are sponsoring an event or local sports team. With this information in hand, you’re now armed with the knowledge you need to optimize your site for success in local search. If you have a great local search tip that we may have missed throughout this article, please add it in the comments section below. Need further assistance with your local search rankings? Please contact us and we’ll be happy to schedule a consultation. 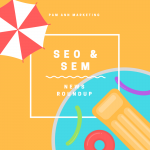 Google has primarily been focusing on local search with its most recent updates, and has continued a trend of sharing local search advice on Twitter. 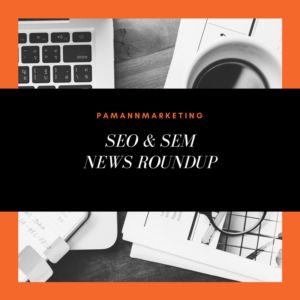 Updates to paid search and Google’s advertising policies have also been rolled out, with an especially important update for AdSense publishers. 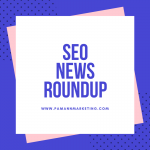 Lastly, a new type of structured data markup has been introduced that can be used to get videos on your site to start showing up in Google Image Search. 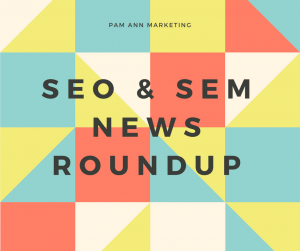 More details about all of these stories are included in this week’s SEO & SEM news roundup. You may start seeing fewer sites with pop-under pages going forward, following a major change to Google’s advertising policies. 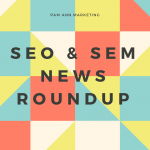 Google is no longer allowing AdSense ads to be published on sites that trigger pop-under pages. This is a strict, all-encompassing rule that applies sitewide. That means it’s not enough to remove ads from individual pages that trigger pop-unders. Google is not allowing its ads to be published on sites that trigger pop-unders whatsoever. Considering the number of sites on the web that publish Google ads, this could lead to a significant decrease in the use of pop-under pages. In other advertising news, Google is now allowing AdWords customers to remarket ads to people who have interacted with their YouTube channel. This can be accomplished by logging into your AdWords accounts and navigating to Shared library > Audiences > New video remarketing list. From there, you can choose to remarket to people who have interacted with your YouTube channel in any way, as well as people who have watched specific videos, and whole host of other options. Searchers can now send instant messages to US companies with a verified Google My Business page. This is a feature you can turn on from the GMB dashboard – don’t worry, you won’t be forced to have it turned on. If you choose to turn the feature on, searchers will see the option to message you directly from search results when they search for your business name. Messages will be sent and received either through SMS or Google Allo. Again, there is no requirement to use this feature, but communicating with potential customers in real-time could make all the difference between them choosing you over the competition. Next time you need to book a spa or salon appointment you may be able to do so right from the search results pages. Google has confirmed the rollout of a new appointment booking feature, which is only available for US-based spas and salons for the time being. In order to facilitate the bookings, Google has partnered with service providers such as Genbook, SalonRunner, Rosy, Yocale, and WellnessLiving. Presumably, if a business is able to take bookings through any of those services it will be able to take bookings through Google Search. The search giant says more types of bookable services will be added in the future. According to recent reports, Google is now suggesting other locations for a business within the local panel. So if you’re looking up a specific restaurant in Google Search and tap on the listing, you will see suggestions for other locations of that same restaurant (when available). Continuing a trend started last week, Google’s John Mueller has been providing advice over Twitter to users looking for help with local search. When there are multiple versions of a site, site owners may believe it is best to redirect visitors to the appropriate version based on the location of their IP address. This could “break indexing”, as Mueller says, because Googlebot crawls sites from the US most of the time. So if US traffic is being redirected elsewhere, then Googlebot will be redirected as well. That will ultimately affect how the site’s pages get indexed. For more information about the correct way to optimize sites for local search, please see our new guide to local search optimization. Yes, you read that headline right. With the help of some brand new structured data markup, you can now optimize videos on your site for Google Image Search. When selecting an image in Image Search, Google will now display the link to a related video when one is available. 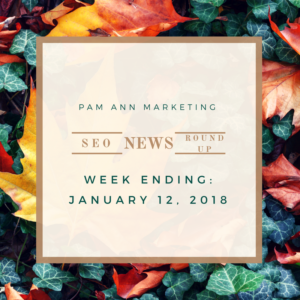 While Google says videos uploaded to one’s own website can be marked up for display Image Search, but we’ve only seen links to YouTube videos being displayed thus far. Google ads are no longer allowed on sites with pop-under pages. AdWords ads can be remarketed to YouTube viewers. Google My Business has a new instant messaging feature. Spa and salon appointments can be booked through Google Search. Google will notify searchers of other locations for specific businesses. Redirecting visitors based on IP location should be avoided. Structured data markup can be used to optimize videos for Google Image Search. Google was spotted testing a new design for mobile search results, which may or may not end up getting rolled out as a permanent redesign. More information about Google’s upcoming mobile-first index has been revealed, as well as new information about the company’s new Posts feature. It’s now easier to find wheelchair accessible locations in Google Search. In other local search news, Google has shed some light on how its algorithm handles geotargeting. 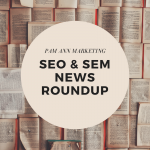 In paid search and advertising news, Bing Ads will soon be retiring its Campaign Planner tool, and Google has introduced new AdSense ad units designed to match the look and feel of a website. Lastly, Bing has been seeing some notable gains in search market share, according to recent numbers. Google is testing a new design for mobile search results, which may come as good or bad news depending on your marketing goals. One of the most notable tweaks to the new design sees the search giant featuring fewer ads at the top of the page. This could be a good thing if your primary focus is organic search. On the other hand, if AdWords mobile ads are a key component of your marketing campaign, you may not be a big fan of the new design. Whether or not you like the new design, keep in mind it’s a limited test for the time being. There’s no confirmation as to when or if this will be rolled out as a permanent redesign. With that said, check out what it looks like in the screenshot below. When Google’s mobile-first index rolls out next year, the company revealed it will initially favor individual sites that are ready for it. That means sites that are the most mobile-friendly will be indexed before others. This information was provided by Google’s John Mueller when asked about the mobile-first index in a recent Google Webmaster Hangout. Mueller went on to say site owners may or may not be notified of being indexed once the mobile-friendly switch takes place. Expect Google to release more information before the mobile-first index is officially rolled out. Google is making it easier to find locations that are wheelchair accessible, and it’s looking for searchers’ help to do so. Google Maps will list locations near you, and you can let Google know whether or not they’re wheelchair accessible. This will make it easier for others to discover accessible locations in Search and Maps. Years ago, the location of a server that a site was hosted on did play a role in where the site ended up ranking in local search. It appears that is no longer the case. According to Mueller’s response, it seems that Google is most concerned about ccTLDs and Search Console settings. A ccTLD is a country code top-level domain, such as .ca, .uk, .fr, and so on. So if you have a .ca ccTLD, and your Search Console settings indicate you’re located in Canada, your site is likely to rank more prominently in Canadian search results. Another way to help Google understand where your business is located is by having a verified Google My Business (GMB) listing. GMB recently introduced a feature called Posts, and there has been new information coming out almost every day since it has been released. 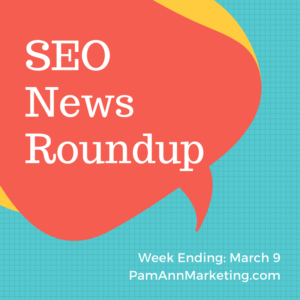 Posts are short messages published via GMB that show up in Google Search and Maps. Unlike other channels where you can publish a message and it stays forever, we recently learned Google Posts have a shelf life. The company confirmed to Search Engine Land that Posts are removed after 7 days, with one exception. 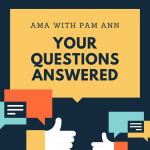 If you’re using Posts to publish information about an upcoming event, those messages will not be removed until after the event has taken place. Otherwise, make sure to keep your Posts current because they will disappear after a week. Those who monetize their content with AdSense ads may be pleased to learn about the new “Native” ad units. Native ads are designed to blend in by matching the look and feel of a website. There are three new ad types to choose from – in-feed ads, in-article ads, and matched content ads. You can learn more, and see what the look like in action, in Google’s official announcement post. According to Search Engine Land, Bing Ads is retiring its Campaign Planner in favor of Keyword Planner. This change is said to be taking place on July 26. Bing Ads launched Keyword Planner one year after Campaign Planner. Since then, Keyword Planner has acquired many of the features that were unique to Campaign Planner. It’s possible Bing has decided there is no longer a need to offer both tools. Even more features are expected to be added to Bing Ads’ Keyword Planner throughout the year. Speaking of Bing Ads – if you’re not advertising on Microsoft’s search engine, perhaps it’s time to reconsider. Why? 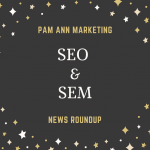 According to the latest data from Comscore, Bing now accounts for a third (33%) of all desktop search market share in the US. While Bing is still struggling in the mobile search market, it reaches a highly targeted and lucrative audience on desktop. Bing’s desktop searchers are said to be older and more affluent, with more spending power. Its audience is largely comprised of enterprise and business users. If that sounds like an audience you’re trying to target, it may be worth your while to improve your organic rankings in Bing, or increase your spending on Bing Ads. 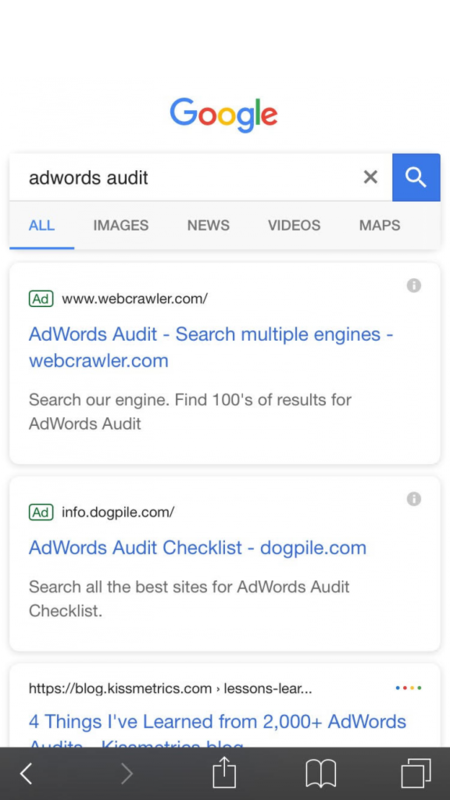 Google is testing a new design for mobile search which features fewer ads. Sites that are ready for Google’s mobile-first index will get indexed first. Google is crowdsourcing information about wheelchair accessibility. Search Console and ccTLDs play a key role in geotargeting. Google Posts have a 7-day shelf life. 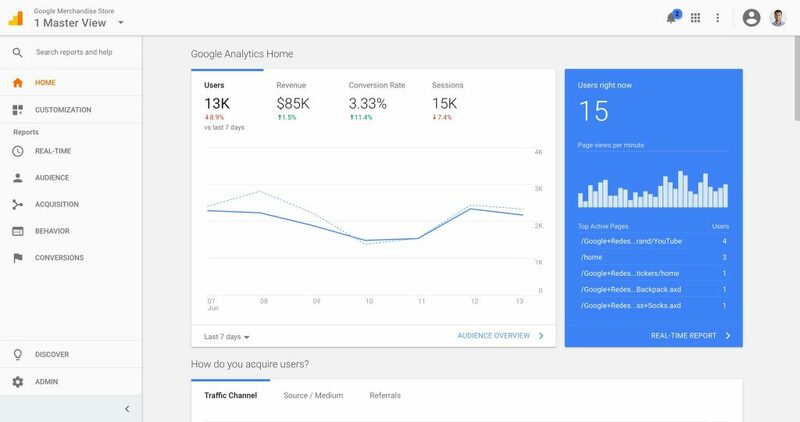 New AdSense ads match the look and feel of your site. Bing is going all-in on Keyword Planner. Bing now accounts for a third of all desktop searches in the US.